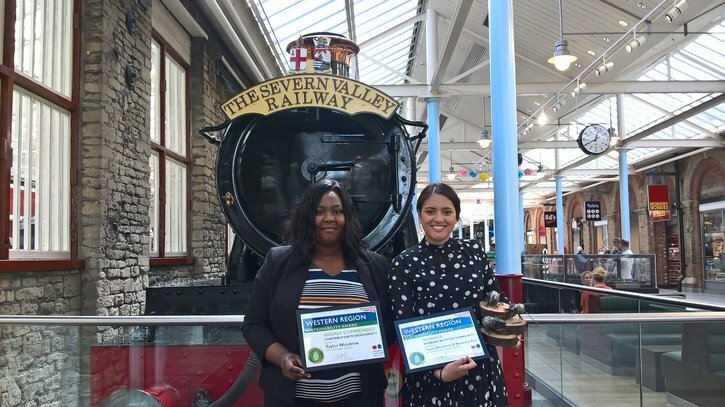 The Environmental and Stakeholder team for Crossrail West Stations recently travelled to the Steam Museum in Swindon, where the Network Rail World Environment Day conference and sustainability awards were being held. Their support for the Engineering Education Scheme won the ‘Working with the Community’ Award, with a certificate and carved wooden trophy presented to the team for this achievement. The team’s Haven Green vegetable garden / food waste processor / rain water harvesting installation also received a ‘Highly Commended Award’ in the Contribution to Biodiversity category.